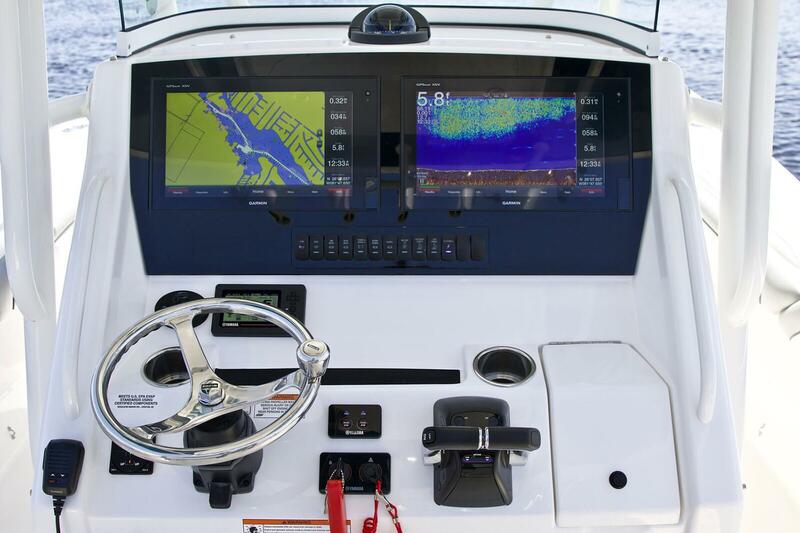 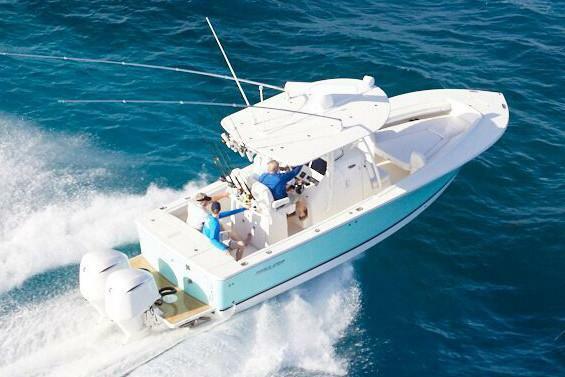 Step up performance with a fishing machine built for offshore action. 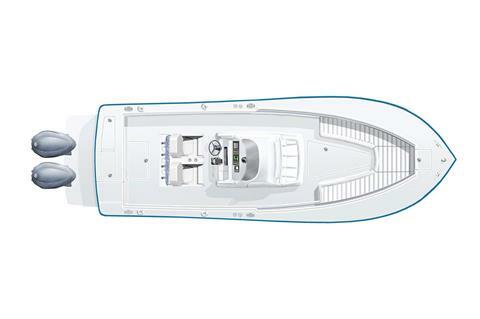 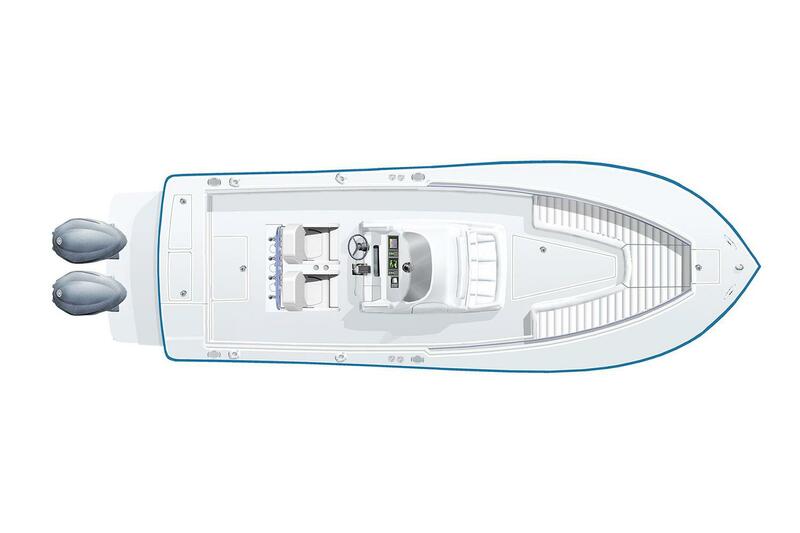 With its sharp bow entry and Lou Codega-designed hull, Regulator’s signature soft ride comes standard. The 28 Tackle Center, seatback rod holders, and optional T-Top rocket launchers create an ideal rigging station for a group of anglers, putting all of your tackle within perfect reach. 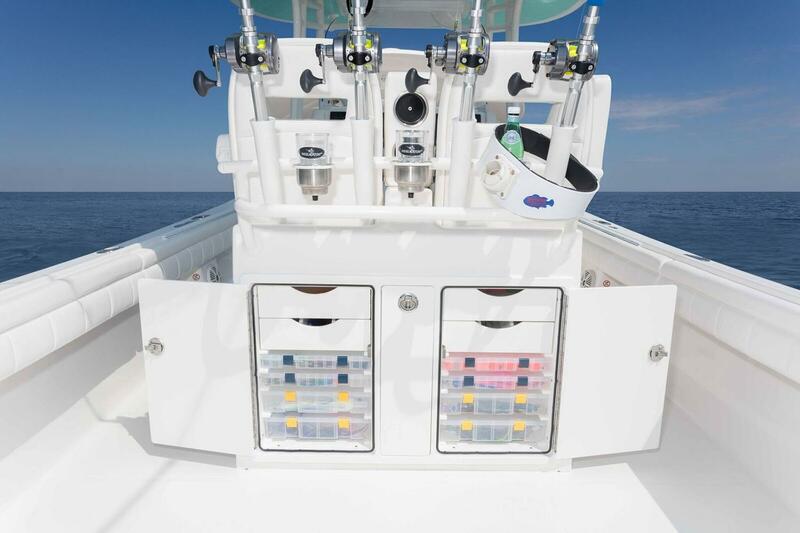 Plus – upgrade to the optional Taco® Grand Slam 380 outrigger bases with 20’ Carbon Fiber telescoping poles to enhance your offshore experience. 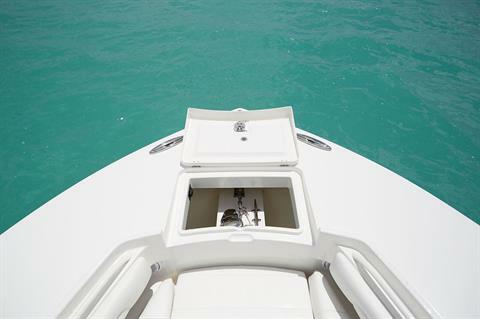 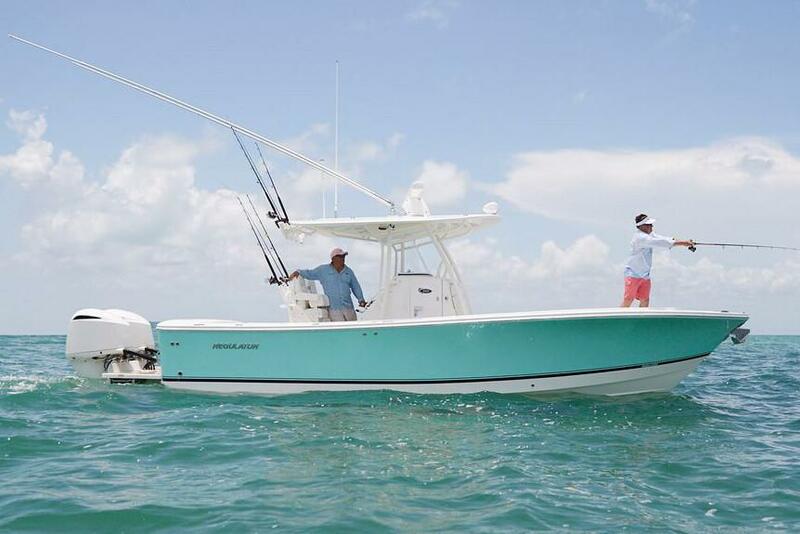 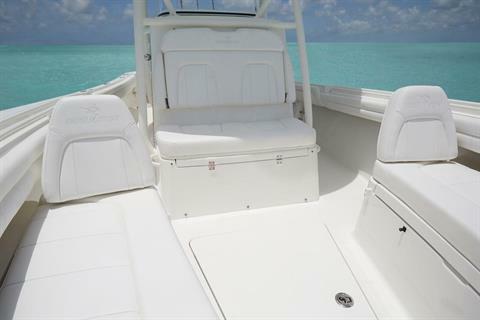 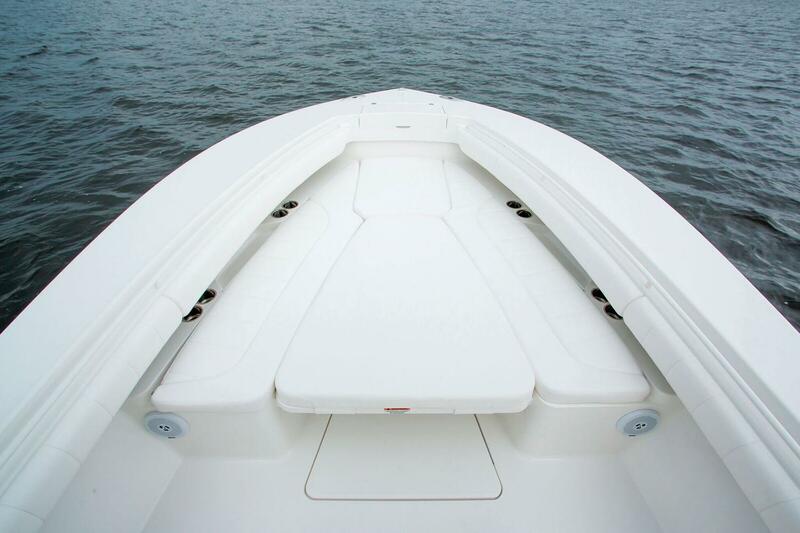 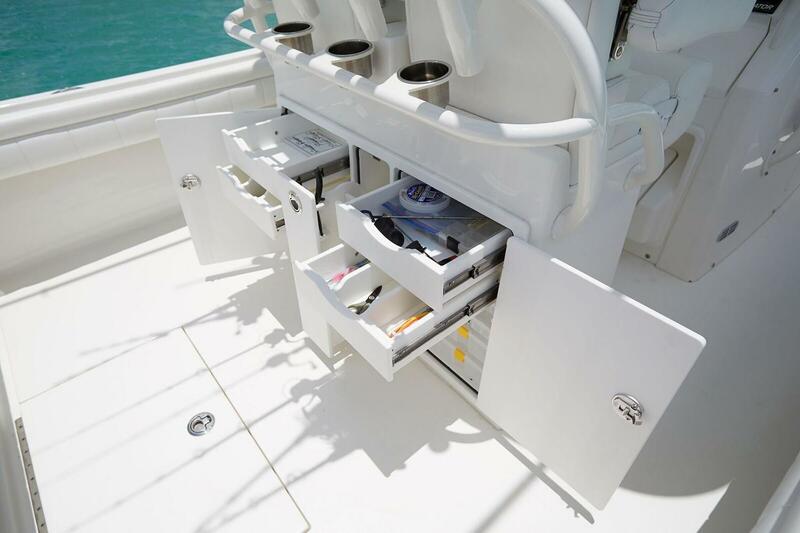 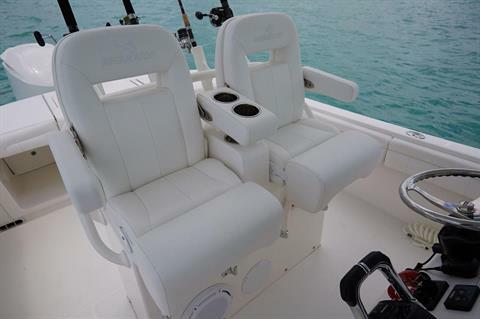 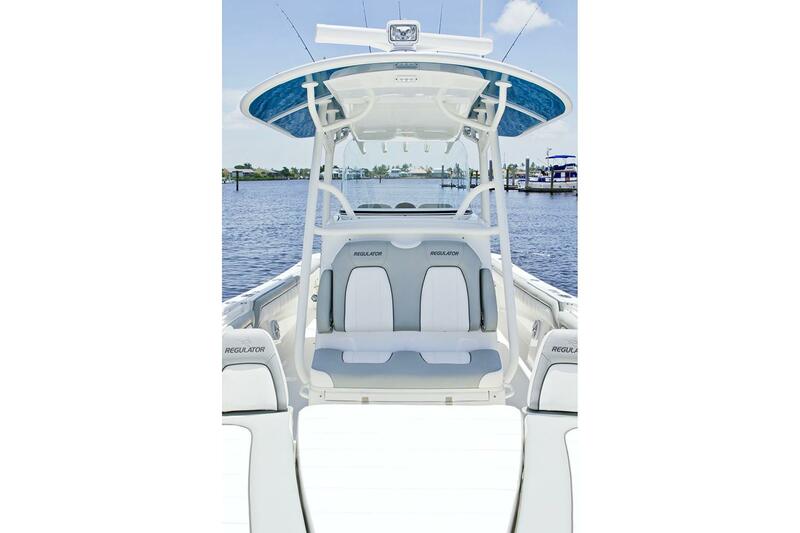 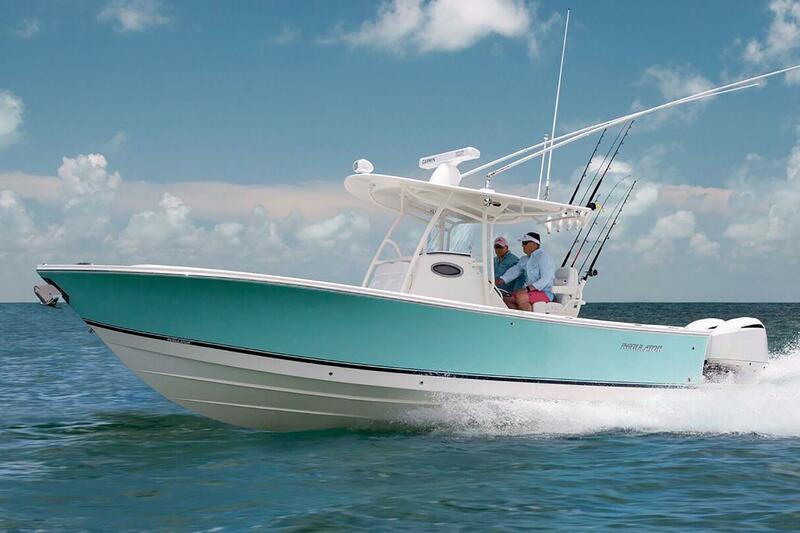 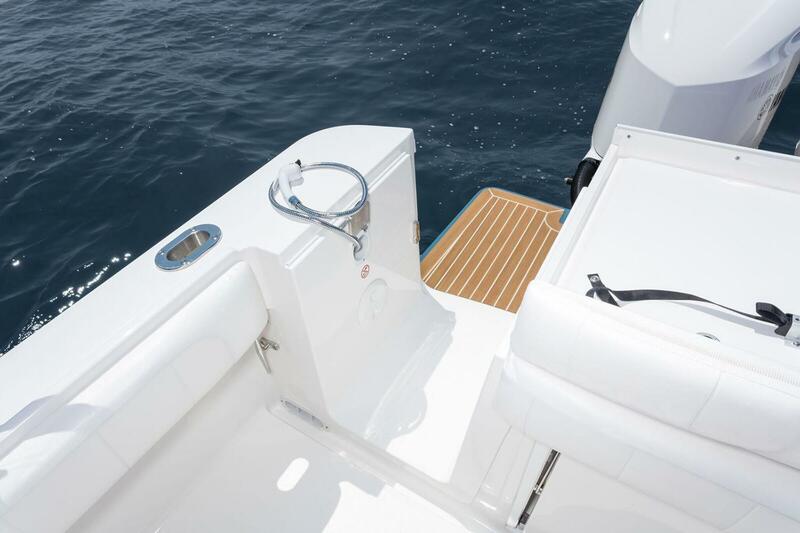 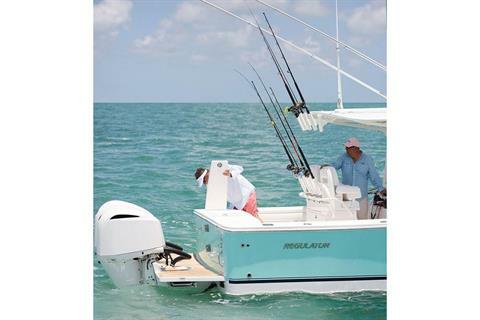 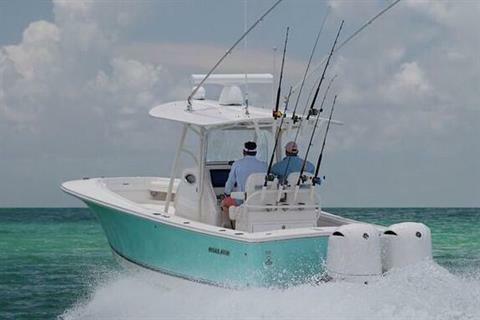 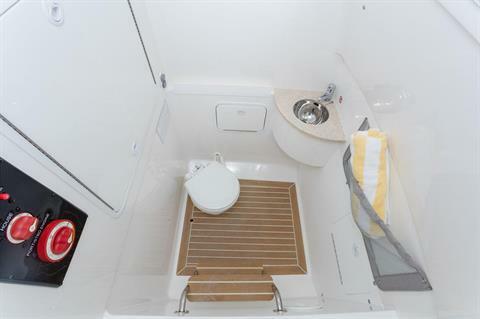 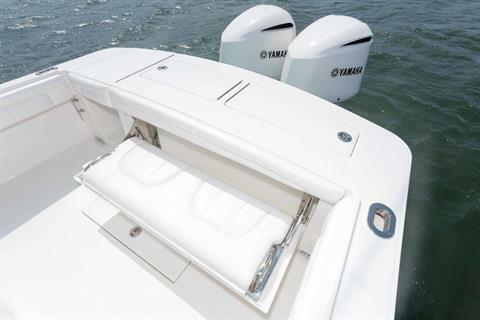 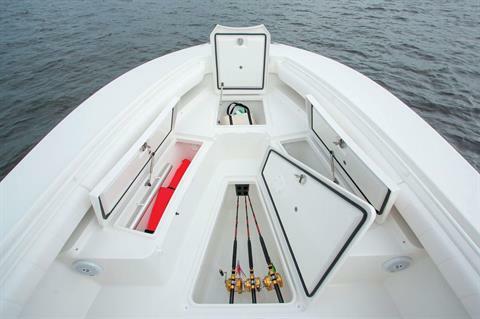 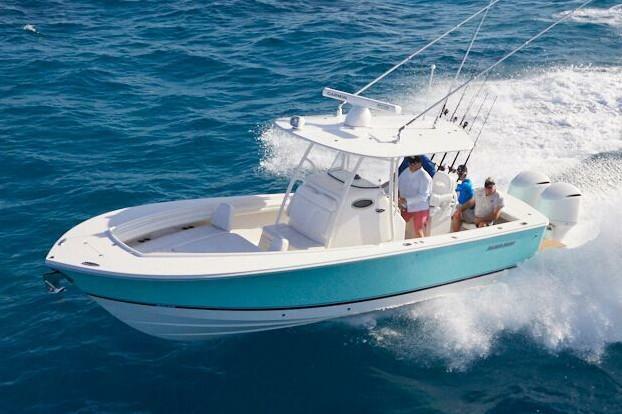 The transom walkthrough tuna door provides flexibility for both boarding and fishing, and removable forward seat backrests, optional forward sun shade, and optional sunbed table add an extra degree of comfort for lounging and entertaining. 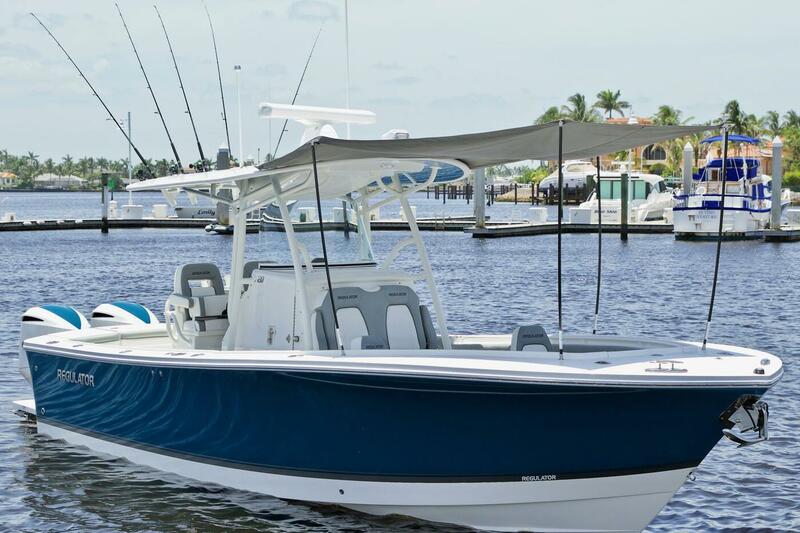 No matter how you spend your days on the water, the 28 is the ultimate expression of the Offshore Life.